Boasting a simple ergonomic design, this mouse is very easy to use. Just plug-in the USB cable and you’re good to go: no drivers, installation or setup needed. 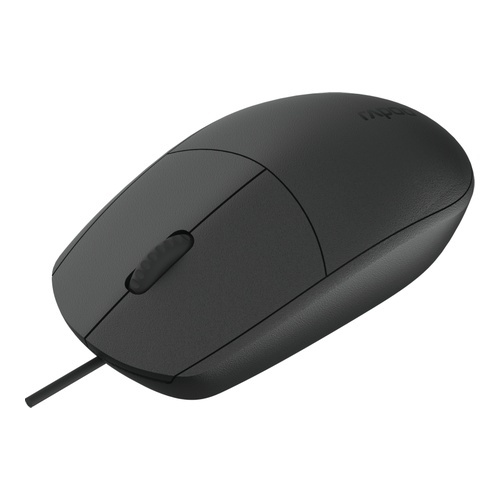 The high-performance 1600 DPI optical sensor offers a smooth and accurate mouse-pointer control, while the symmetrical design allows for ambidextrous use. What’s more, the non-slip mouse wheel provides amazing grip and precise navigation of websites and longer documents. Boasting a simple ergonomic design, this mouse is very easy to use. Just plug-in the USB cable and you’re good to go: no drivers, installation or setup needed.